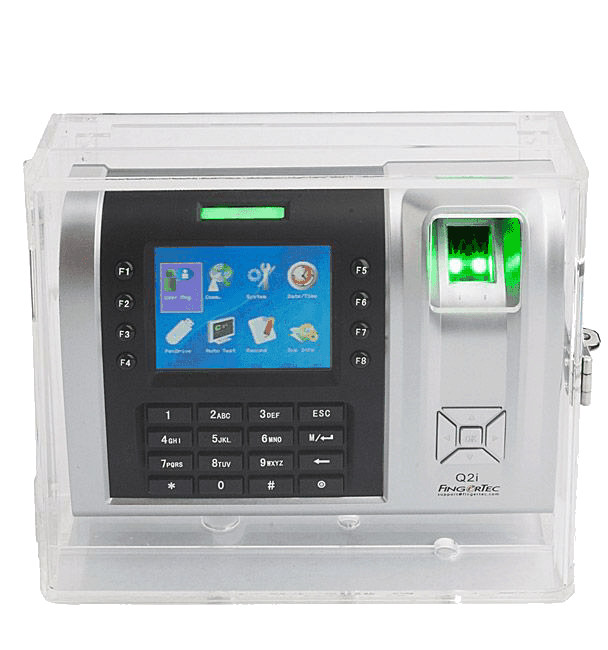 Fingertec Enclosure for the TA200/Q2i Biometric Time Clock. The TA200/Q2i Enclosure is made of transparent thermoplastic or acrylic glass, are specially designed to fit the TA200/Q2i FingerTec terminal for extra protections from dust, unnecessary punching of keypad and vandalism. 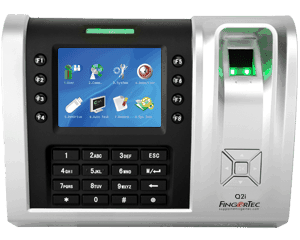 FingerTec Q2i is a premium security device with advanced time attendance and access control features.